← If it died in the forest……..I’m not eating it!!!! For years I grew up watching my mom throw together casseroles out of whatever was on hand. 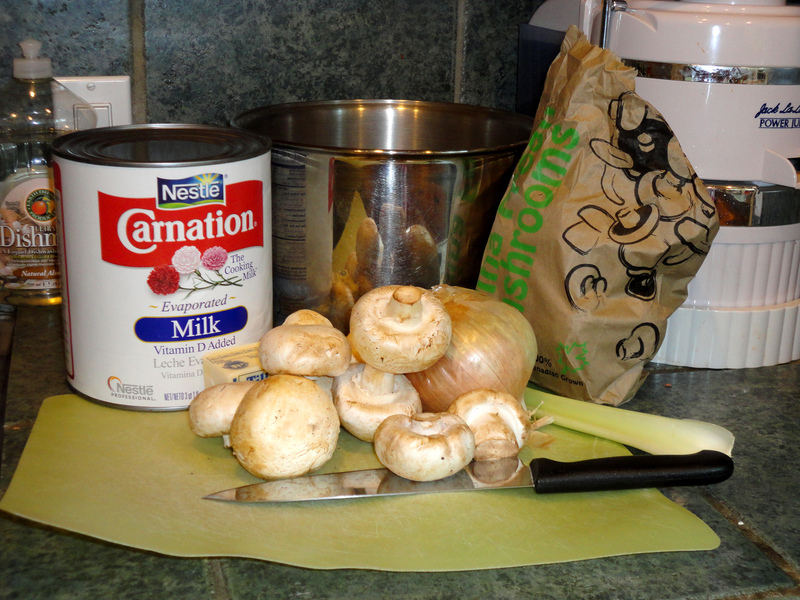 The base was often cream of mushroom soup. 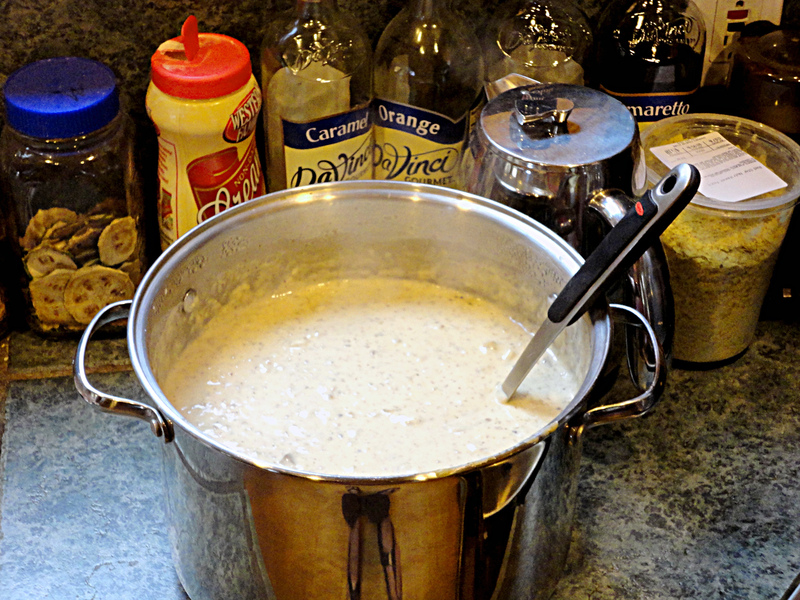 Since Rodd is allergic to wheat, I have stopped using canned cream of mushroom soup. I found a gf version, but who can afford it???? 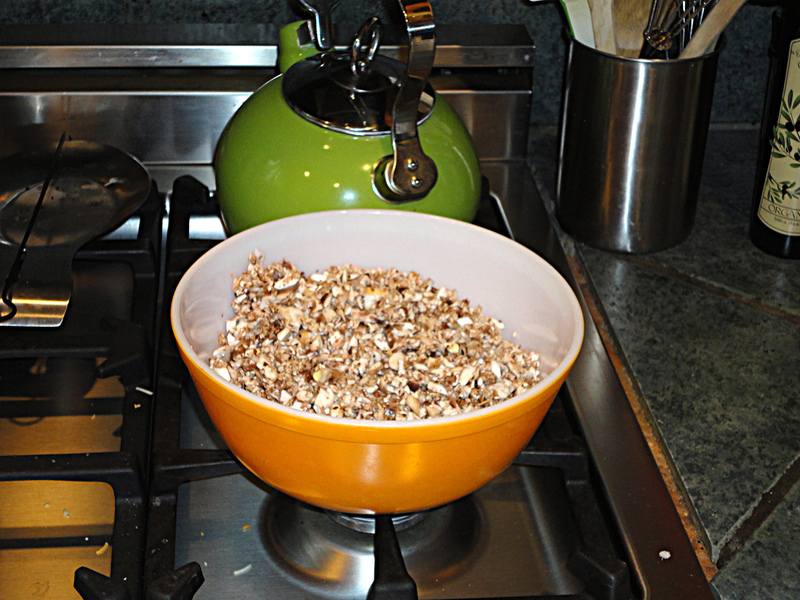 I often make a little pot so that I can use it in recipes, but it’s so handy just to pop open a can. I decided to make my own and can it. After all……how hard can it be????? Chop the onion and the mushrooms. 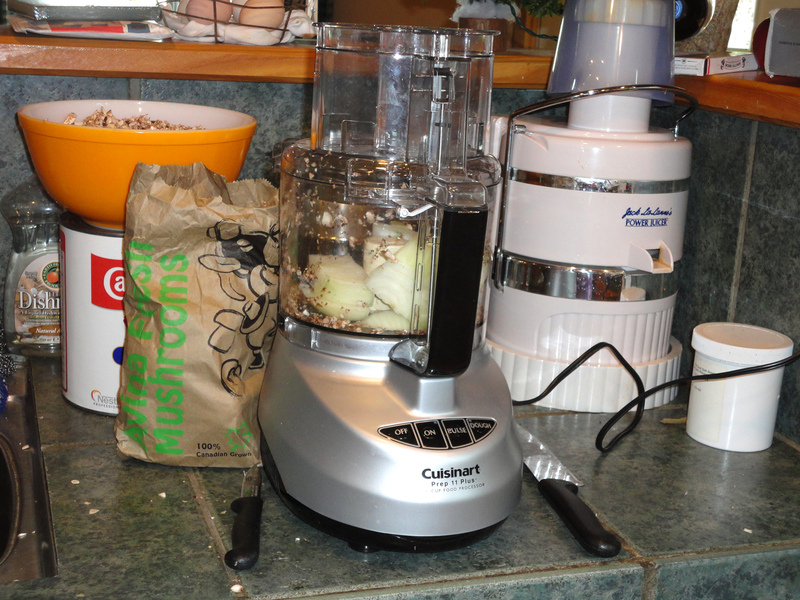 I used a food processor for most of the chopping, but I did chop some of the mushrooms by hand to retain larger pieces. Melt the butter in a large pot and add the onion. Saute the onion and when it’s translucent, add the mushrooms. Cook until soft, but not slimy. Sprinkle and stir in the flour. I started with a cup total, but ended up having to add more to gain the desired consistency. Pour in the milk and whisk it all together. Bring it to a gentle boil and thicken it up with more flour if needed. I’m going for the consistency of condensed, canned soup. Fill sterilized jars and process in a pressure canner for prescribed time. I processed my pints for 65 minutes. Enjoy!